Foreigner Physical Examination Form (can be submitted later) (photocopy/scanned copy) (the original copy should be kept by the applicant. The form printed by Chinese quarantine authority could be downloaded from http://www.cqmu.edu.cn or http://www.csc.edu.cn). The medical examinations must cover all the items listed in the Foreigner Physical Examination Form. Incomplete records or those without the signature of the attending physician, the official stamp of the hospital or a sealed photograph of the applicants are invalid. Please select the appropriate time to take medical examination as it is valid for only 6 months. Master’s & Ph. D. Program: Bachelor’s / Master’s Degree or studying certificate (photocopy/scanned copy), academic transcripts of Bachelor’s / Master’s program (photocopy/scanned copy), two recommendation letters of professors/associate professors with their signature and contact information (original copy or photocopy/scanned copy), study plan of no less than 400 words in English or Chinese (original copy or photocopy/scanned copy). For students and workers, studying/working certificate is also required. Application Form for Chinese Government Scholarship (filled in Chinese or English). Those who are available for online application shall fill in and print the application form after submitting it online. 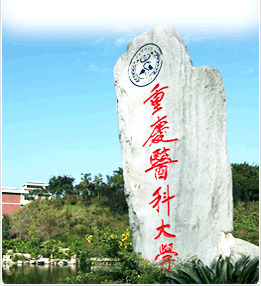 The CSC Online Application System for Study in China is available on http://laihua.csc.edu.cn. The Agency NO. of Chongqing Medical University is 10631. Those who cannot apply online can download the form from http://www.cqmu.edu.cn or contact the university for the form and fill it truly, correctly and completely. Note: The printed documents to be posted should be in duplicate. The above-mentioned application documents for the programs of CQMU. Please note that the two recommendation letters of professors/associate professors should be the original copy. 1. *School performance report/conduct record is an appraisal about applicants’ overall performance at school. It should be issued by the authority and should bear the seal. 2. The materials should not exceed 20 pages. Please use DIN A4. 3. Notarized English copy should be provided for the documents in the language other than English. 4. The vacant forms can be downloaded in Download Column, or please contact us for them.